Vergina is a small town in northern Greece, part of Veroia municipality in Imathia, Central Macedonia. It was established in 1922 and it was a separate municipality until 2011, when it was merged with Veroia, another city dating back to 432 BC. 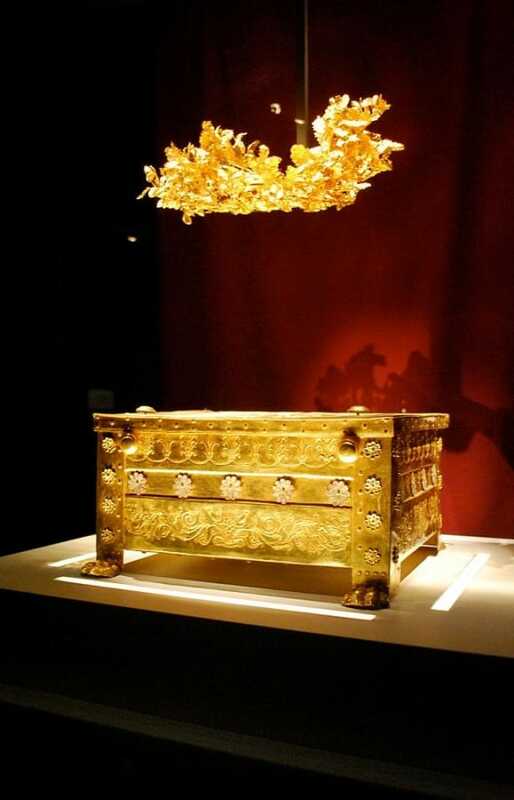 Vergina is best known as the site of ancient Aigai, the first capital of Macedon. It was here in 336 BC that Philip II was assassinated in the theatre and Alexander the Great was proclaimed king. Aigai has been awarded UNESCO World Heritage Site status as "an exceptional testimony to a significant development in European civilization, at the transition from classical city-state to the imperial structure of the Hellenistic and Roman periods". The site was discovered in 1976, and excavated during the 1977/8 season in a campaign led by Manolis Andronikos, which unearthed the burial site of the kings of Macedon, including the tomb of Philip II, father of Alexander the Great which unlike so many other tombs had not been disturbed or looted. It is also the site of an extensive royal palace and of many rich ancient tombs. 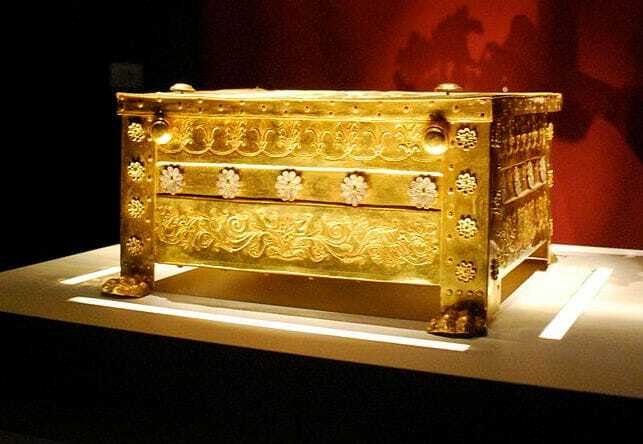 The objects and paintings found in the tombs at Vergina are of extraordinarily high quality and historical importance. A museum now contains Philip's tomb and a new museum is being constructed for the palace and other finds. Pella, located only 76 km (47 mi) north of Vergina is another ancient city, best known as the second historical capital of the ancient kingdom of Macedon in the time of Alexander the Great. In antiquity, Pella was a strategic port connected to the Thermaic Gulf by a navigable inlet, but the harbour and gulf have since silted up, leaving the site landlocked. Pella is first mentioned by Herodotus of Halicarnassus in relation to Xerxes' campaign and by Thucydides in relation to Macedonian expansion and the war against Sitalces, the king of the Thracians. Pella was probably built as the capital of the kingdom by Archelaus I, replacing the older palace-city of Aigai, although there appears to be some possibility that it may have been created by Amyntas. On the site of the ancient city is the Archaeological Museum of Pella.